Welcome, healers, to Neural Muscular Release Therapy! The mind is an interface that is designed to process information and interact in the world, but it needs to be cleaned regularly as it is constantly witnessing trauma, both mental and physical, which gets stored in the body. The body then holds the neural chemical memory with the understanding that it will be touched as the body is mechanically designed to be touched in order to release this memory from accumulating and affecting the body's functionality as well as the mind's cognitive process. Our body is a neuro-chemical recording system. It's constantly recording everything that physically and psychologically (emotionally) happens to the mind-body interface. All this chemical history over the years of our lives become the weight of our worlds. It weighs us down mentally, spiritually, and physically. By activating and stimulating the muscle systems in your body, we will begin to release a lifetime's worth of unwanted trauma. We drain chemical memory to release the vibrational distortion in your energy field, freeing your spirit to be pure in the body. Thus the mind/body/spirit is unified in purity in the present as a gift. When we change your chemistry, we change your vibration; when we change your vibration, you change the vibrational field around you and your world changes, which in turn changes the world you're a part of. MAHALO, ALOHA, AND SAT NAM!!! Micah Skye was raised in the system of Kriya yoga under the teachings of one of Paramahansa Yogananda's last living disciples Yogacharya. He blessed his mother's stomach when she was pregnant with him, and much of his childhood was spent on Yogananda's private ranch in Northern Michigan. He was raised in the Eastern sciences which was a integral part of his foundation to progress rapidly through the yogic and hearings sciences. His training began at an early age with his mother, who incorporated several forms of the healing arts throughout my childhood. Upon moving to Los Angeles at 18, he began his conventional training at the Touch Therapy Institute where he became certified and licensed in a variety of healing and yogic arts and sciences. During this time he lived next to a mysteriously quirky man by the name of Taman, who began treating him in a very deep form of body work that was very abstract in application as it worked with releasing the body's bio-electricity to flush the chemical memory and activate a homeopathic response in the body. The techniques and principals were very unrefined and abstract. He said he'd been developing it over the last 25 years, but had never really chosen to do anything with it. He was Ida Rolf’s second student and had developed the science after training with Ida and seeing a lot of missing components with structural integration (Rolfing) and other systms, specifically that no system was working with stimulating the nerves. Seeing Micah's willingness to learn, Taman took Micah on as an apprentice, and began training him. He hadn’t structured a system or method to teach this new science, so he would teach Micah by working on him. Eight years of intensive treatments later, Micah's body had become the product of the science. Micah then began refining the raw undeveloped techniques and principals Taman used on him, and a treatment pattern/system began to develop around how to access the body’s nervous system and awaken a homeopathic resetting of the whole system. Micah named the system, “N.M.R.T” (Neuro-Muscular Release Technique). He began lecturing weekly and developed a private practice until his departure from the city of angels to the sacred land of Kauai. It was on this sacred land that Micah continued the design and development of N.M.R.T and wrote the manual that encompasses the science in it's integrity. 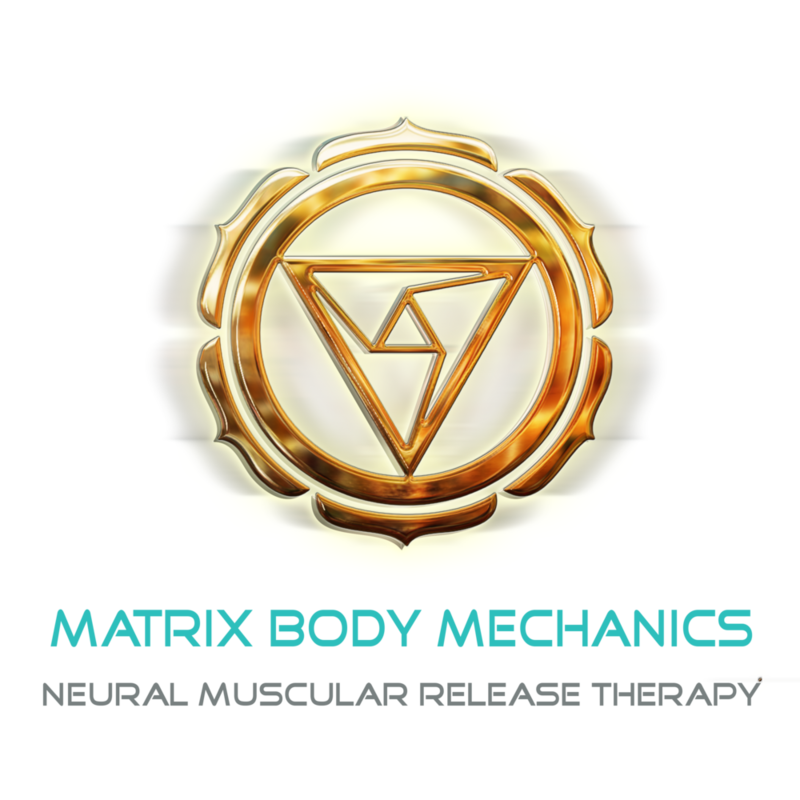 It is our goal here at Matrix Body Mechanics to start a school for this profound ancient science now revived in the modern day so that a movement of neuro-muscular therapy can help bring about the liberation of the people of this world from their past...at least neuro-chemically. The rest is up to you!